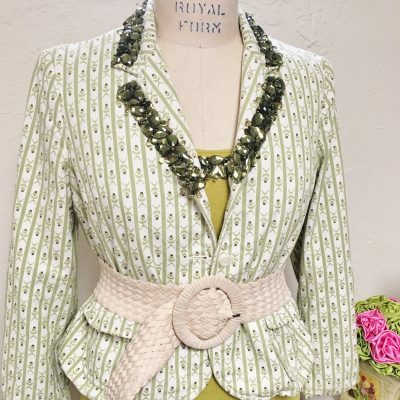 I love a good Estate Sale treasure. 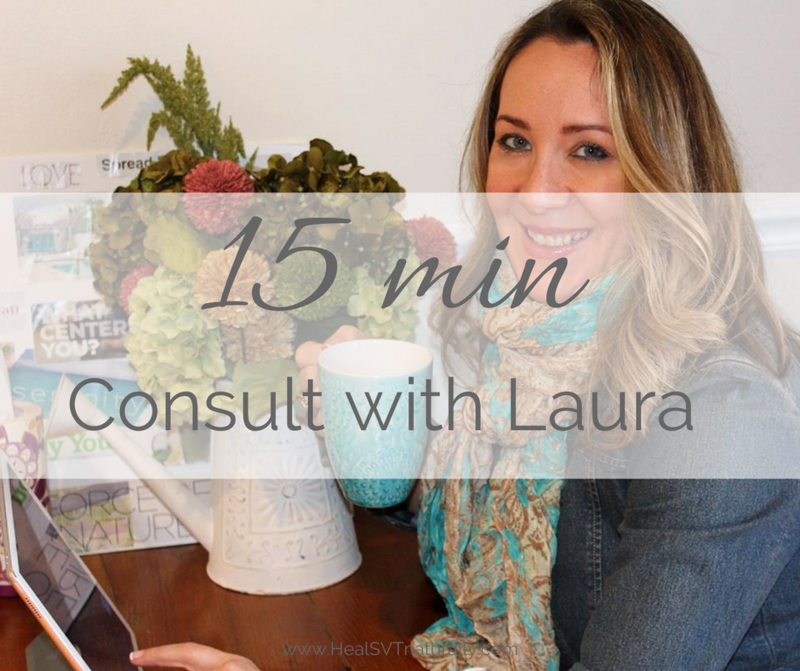 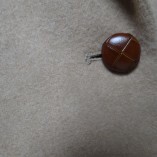 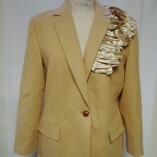 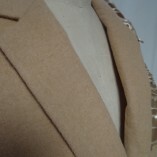 This gorgeous cashmere blazer is from the closet of a very chic woman who had all of her clothes altered or hand made. 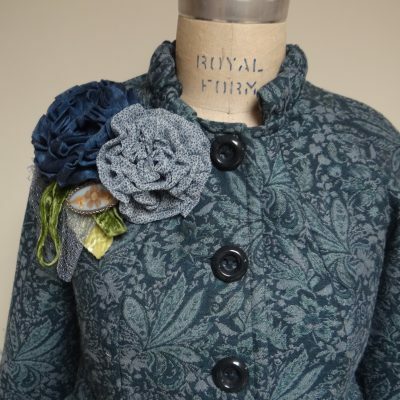 She traveled first class, and had a closet to die for. 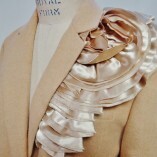 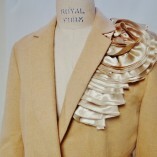 This Chic Vintage Cashmere Blazer has added new side ruffle silk satin trim. 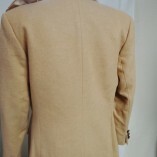 This Vintage Blazer is in perfect condition and is soft and luxurious. 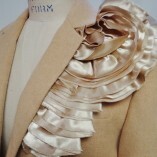 The side ruffle is a swirl of satin added to the top left side. 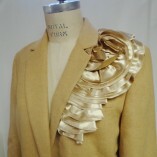 Wear this with jeans and heels when you want to make a sophisticated timeless statement.